Third Place Blog: National Poetry Month! April is nearly upon us - indeed, it may be April by the time you read this - which means that it's time for one of my favorite months of the year: National Poetry Month. Every year (well, for the past two years) I celebrate by sharing a poem each day with my friends and family. 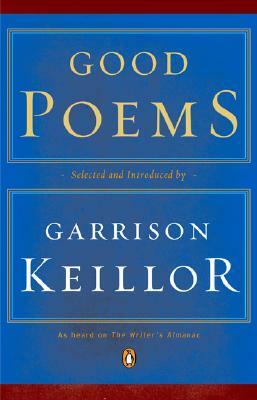 Since I can't commandeer this blog every day all month, I'll direct you to a poetry anthology that has provided many of my picks for 2008 and 2009: Good Poems, a collection developed from Garrison Keillor's "Writer's Almanac" show on Public Radio. That means that these poems feel good in your ear, and in your mouth. So pick up a copy of Good Poems, or some other anthology or collection, and celebrate National Poetry Month with us. Read a poem aloud at breakfast or dinner; keep a book of poetry on your desk for those moments when you need a little break; stop by our Information Desk and ask for some recommendations. All our poetry is 20% off for the entire month of April. There's never been a better time to explore some poems.